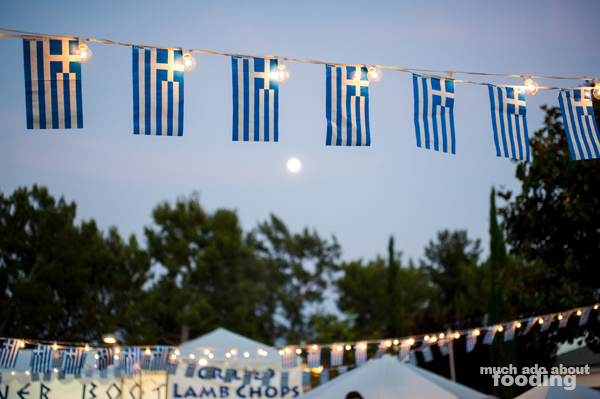 Food, music, crafts, and a fun crowd - how do you not come back to the A Taste of Greece Festival the next year? I first visited them last year for a media tasting preview and came back this year with some media bucks to spend; my thanks to Moxxe PR for setting that up! I still had Duc in tow but also brought along another friend to get the most out of the experience. Since we visited during Friday, the first day of the three-day event, it wasn't as busy as I am sure it got later on. However, it still gave us a great sense of the festival, and this time, we even ventured to join in on the crowd activities. More on that later! 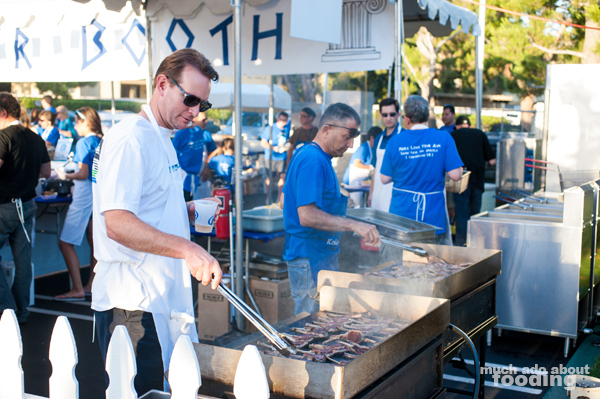 This year was their 35th and as always, it was hosted on the beautiful grounds of St. Paul's Greek Orthodox Church (the hosts, of course) in Irvine. 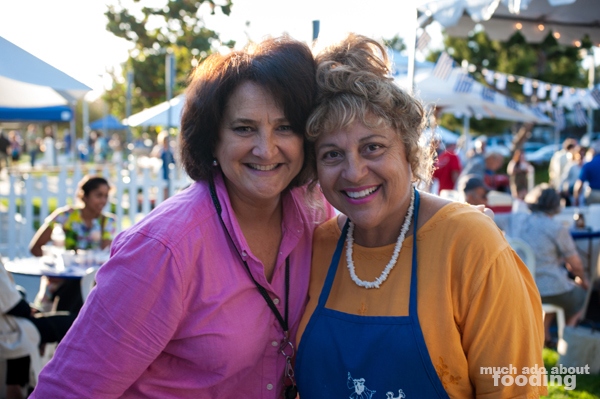 We met some of the festival volunteers, particularly the ladies of the pastries section. Isn't that the favorite part of the festival anyway? The whole inside of the building is lined with rows and rows of tasty Greek desserts protected behind clear plastic display cases. It's a good thing they have protection because guests would surely grab frantically at the loving desserts. 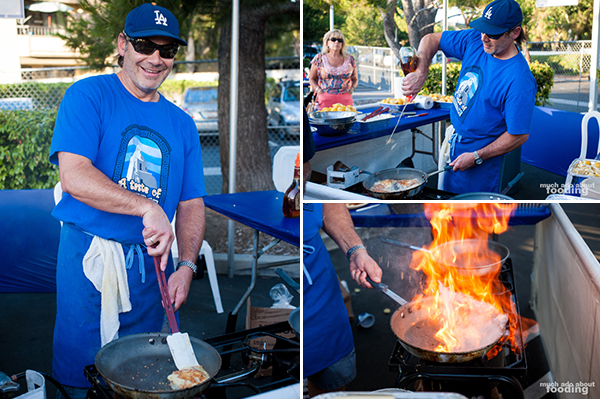 Also, instead of just watching the flaming cheese booth this year, we decided to finally get some of the Saganaki (Fried Greek cheese flamed with Brandy). Not only is it an entertaining show to see the cheese light up but it is also a preview into just how amazing the cheese was. We savored every bit of it before moving on to other goodies. They had a variety of food that pleased the eyes and noses (and mouths later!). Want to know what tempted guests as they walked around? 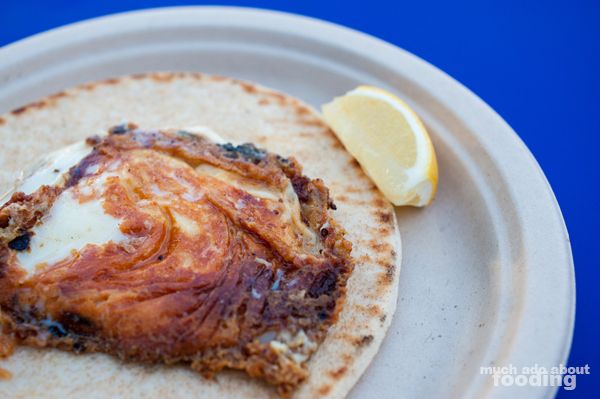 You had calamari, chicken souvlaki, dolmathes, Greek pizza, gyro, keftethes, lamb chops, loukaniko, loukoumathes, pastitchio, saganik, spanakopita, and tyropita for savories. There were plenty of drinks too and desserts inside and out (baklava sundae anyone?). 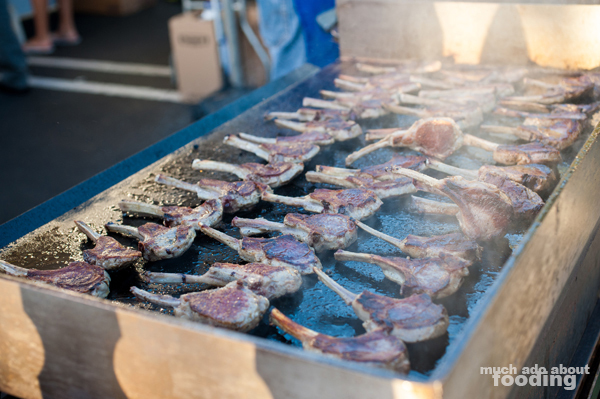 If for some reason you weren't interested in eating your heart out, you could tour the church or watch dancers and cooking demonstrations during Saturday and Sunday. 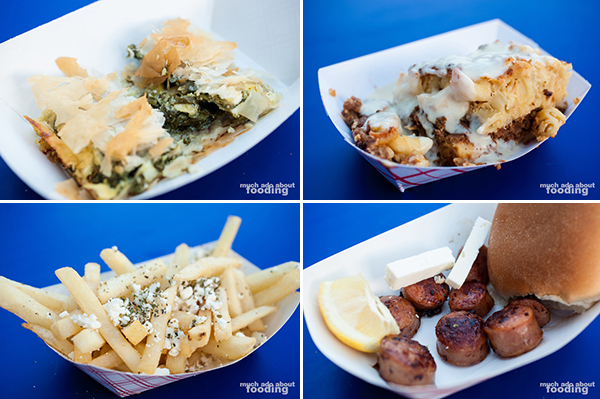 We managed to get our hands on their Spanakopita, Pastitchio, Greek Feta Fries, Loukaniko, and Gyro. 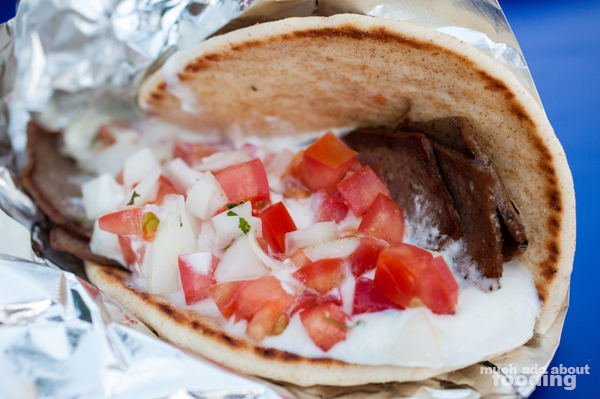 All were excellent and filled us generously with Feta. Most notable among our group of three was the Pastitchio, a Greek "lasagna" of sorts, which got a sauce this year on top that brought everything together more cohesively than our taste of it last year. I found the fries to be nicely crisp and flavored though its crumbled Feta inclusion required a fork's use. This year, we decided we ought to join in on the dancing. 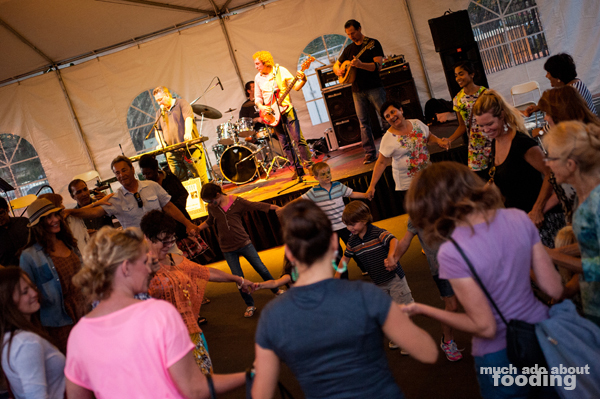 The tents under which live music played and dances happened were avoided last year due to both of our lack of coordination but when at the Greece festival, do as Greeks would and dance! 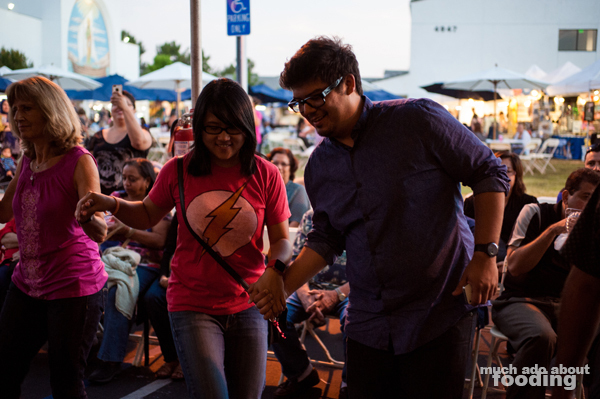 We joined hands with strangers and learned how to move rapidly around in a circle with the crowd. Pictured above is me with my friend Thomas because Duc kept bumping into it, hah! After burning off our meal, we wandered around and checked out the crafts which featured Greek and non-Greek style objects. If you are curious about attending next year, I highly encourage you to take some time out of your day just to check it out. 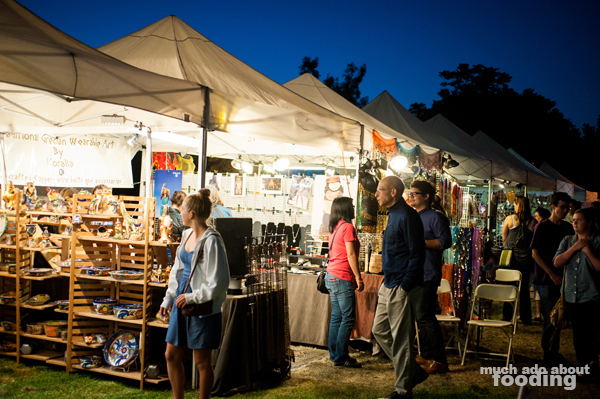 It ran from June 21-23 this year and will be held on a similar weekend next year.